Protecting your youngest and most vulnerable patients takes vigilance, knowledge and appropriate action. Children’s can help with training and resources to help you recognize and report danger. The Children’s Healthcare of Atlanta Stephanie V. Blank Center for Safe and Healthy Children is an advocacy center to prevent and combat child abuse and neglect in the community. The Center provides specialized services to suspected victims of child abuse in metro Atlanta and throughout Georgia. Children’s medical professionals are always available for phone consultation with professionals who have questions about possible cases of child abuse. 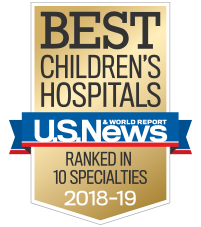 We accept referrals from healthcare providers, law enforcement personnel, Georgia’s Division of Family and Children Services (DFCS) and other child advocacy centers. To contact the on-call medical provider, go to the on-call directory on Careforce or ask the operator to page him. If the alleged incident has taken place within 72 hours or if the patient has an acute medical complaint, send the child to the nearest Children’s Emergency Department immediately. If the alleged incident took place more than 72 hours ago and the patient does not have an acute medical complaint, call the Center at 404-785-3833 for the first available appointment. The Center provides evaluations in our outpatient clinics by appointment only. A legal guardian must bring the patient to the appointment. A referral does not relieve mandated reporters of their reporting responsibility, but we can help by providing appropriate authority contact numbers. The Center accepts Medicaid and most private insurance. Please provide authorization numbers and generate insurance referrals when needed. The Center provides inpatient medical consultation services. The Center medical provider is available to see patients seven days a week. The on-call medical provider can discuss the case, answer questions and make preliminary recommendations. To request an inpatient medical consult, call 404-785-3820. Press 1 and ask to speak to the doctor on call. The Center offers specialized forensic medical evaluations and interviews for suspected victims of child abuse. Our facilities are equipped with digital colposcopy equipment, allowing for detailed documentation during the forensic medical evaluation. Trained social workers perform structured, videotaped forensic interviews, make referrals for counseling, and provide crisis support to families. Referrals from professionals are required, and children are seen by appointment only. Same-day appointments are scheduled when possible. The Center also offers behavioral health assessments, diagnostic evaluations and therapy. At Scottish Rite, the Center hosts extended hours every Thursday where we are able to see patients from 11:30 a.m. to 8 p.m. Trained medical providers and social workers are available to come to Children’s Emergency Departments to evaluate victims of suspected child abuse who present during nights, weekends and holidays. To reach the after-hours service, call the Center at 404-785-3820 and press 1. As a healthcare provider, you fall under Georgia’s mandatory reporting requirement. If you suspect child abuse or neglect in any of your patients, you must make a report to the proper authorities. Referring a patient or consulting with Children’s staff does not relieve you of this duty. As a physician, you are in an excellent position to identify possible abuse or neglect, including physical or sexual abuse. We can help by providing the appropriate contact information and guidance.